The last few weeks have been as good as they've been unexpected with some great sightings of some rather surprising wildlife. 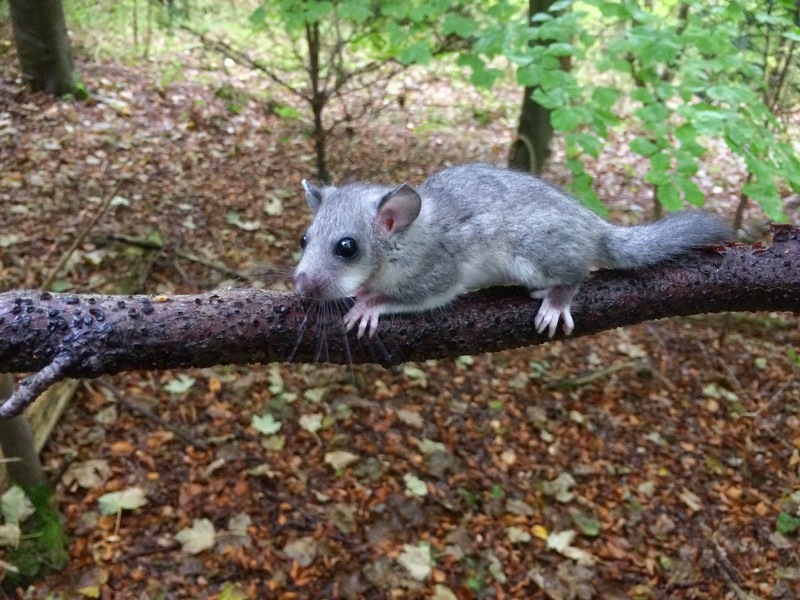 I have recently changed my route at work to the Chilterns area and while I have been introducing myself I kept hearing stories of the infamous Glis glis (Edible Dormouse) that is in the area. 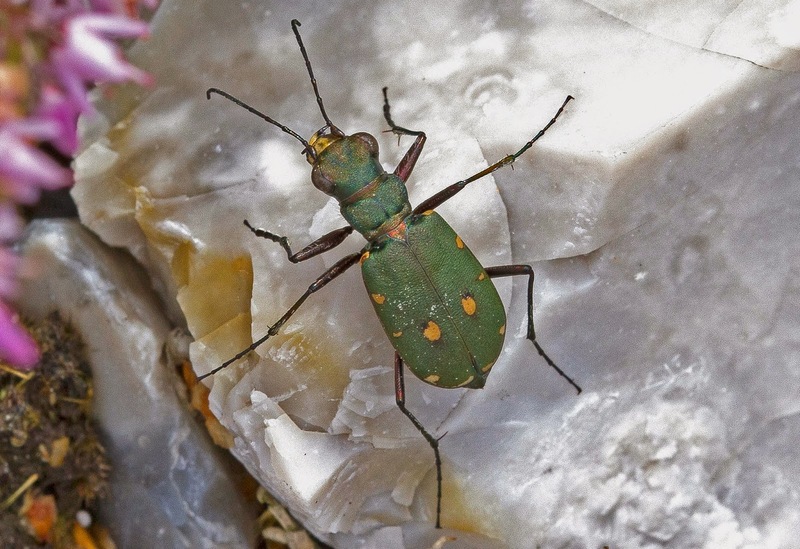 They were released from Hungarian stock in 1902 by Lord Walter Rothschild into Tring Park and since then they've been doing rather well and now, although still confined to the Chilterns, their population is about 10,000 strong! In fact when talking to a lot of the locals it becomes apparent they are considered to be a real pest around here as they have nasty habit of invading peoples homes where they like to chew through electrical wires causing all sorts of expensive damage! 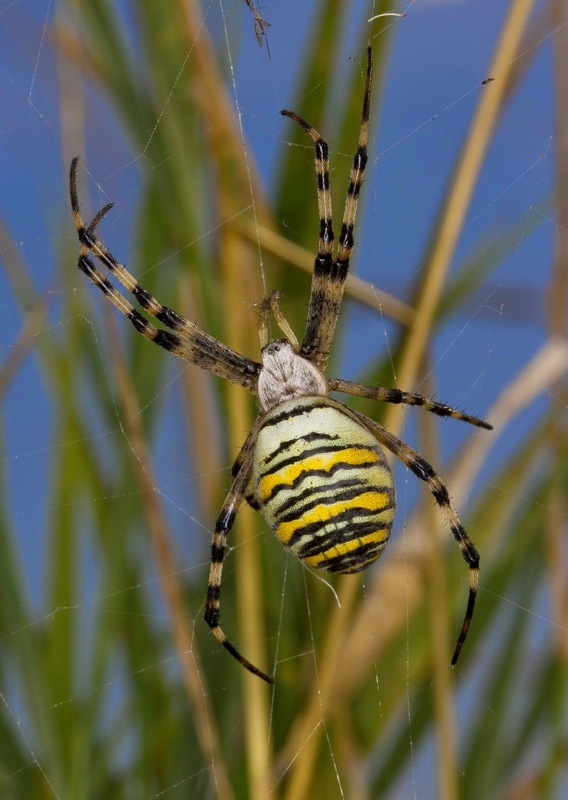 They also have a very bizarre protection status too as although they are locally common they are nationally scarce so you have to have a special license in order to trap them, but as they're a non native species you can't just release them back into the wild so you need another license to do that! They're called the "Edible" Dormouse are rather unsurprisingly they used to be a food source enjoyed by the Romans and they were very clever how they went about it too. The Edible Dormouse, like other similar mammals, hibernates during the winter and I have read that during their hibernation they can loose 98% of their body heat and can slow their breathing down to one breathe per minute. The ever ingenious Romans utilised this by places the Edible Dormice in pots and feeding them up on Chestnuts and Acorns and when they reached a nice plump size they're pour cold water over the pot they were in too reduce the animals body temperature and cause them to fall into hibernation. 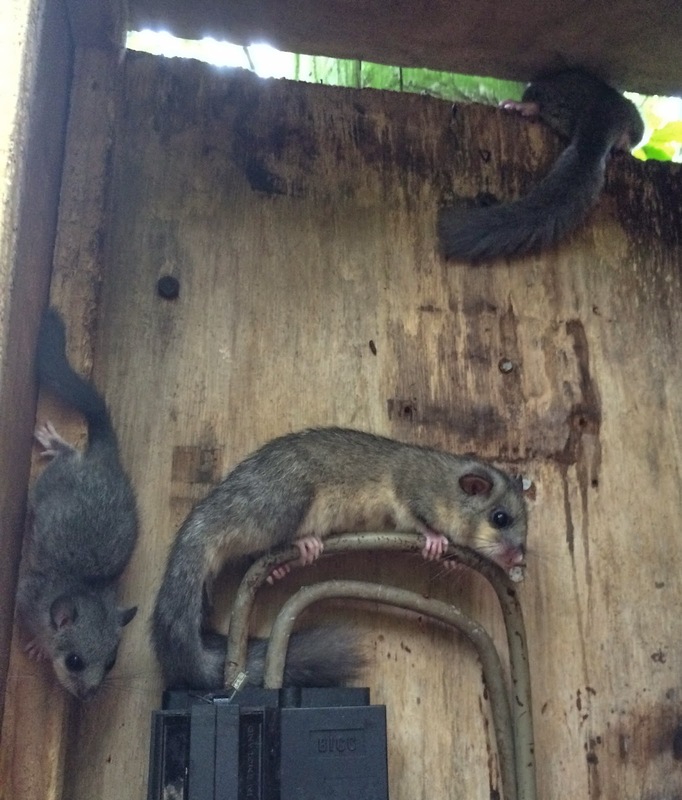 They can then be kept without the need for feeding until they wanted a nice Dormouse snack! Anyway a nice chap in the area offered to show me some and apologies but as they're protected the site where I saw them shall remain nameless but during a day off I couldn't resist popping down to take a look. They love outbuildings and in particular electricity boxes and I was taken to an electricity box on the outskirts of Tring to see them. I didn't quite realise that this is where they'd be as I was expecting to get a glimpse of one in a tiny hole somewhere but the chap I was with walked up to the box and opened it up to show a load of them at the bottom! Another thing I wasn't expecting was just how tame they are (they simply look at you wondering what you're doing), how big they are and also how active they are during the day but admittedly I was there quite early in the morning so perhaps they hadn't quite settled down for their sleep. Anyway a few decided to take a look round in the branches of the local trees which is nice as I managed to get a couple of pics but they all headed back into their home when the door was shut. It was a real privilege to see them even if they are considered a pest round here, here is a couple of pics of the experience. While all this was going on a Hoopoe was spotted near Bedford but due to work and other plans I couldn't get to it during the first couple of days but on the Tuesday the 7th October I had an unexpected early finish at work so I couldn't resist a look. I headed to the site in a small village called Willington just east of Bedford and when I got the end of the road near the farm it was in I could see a few birders already there. The bird had been showing really well over the previous few days and was becoming quite famous for how confiding it was. Tonight wasn't any different and in fact it would've been better if the bird was a little further away (how often do you say that?!) as the fence was getting in the way of the bird slightly. It's always good thought to be in the presence of such a fantastic looking bird though and when they show like this it really makes your day. Other birds of note in the area was a pair of Raven mobbing a Buzzard over the nearby woods and an aggressive Wheatear which for some reason had a right pop at the Hoopoe at one point! Here is a quick phonescopped pic of the bird and a short video. 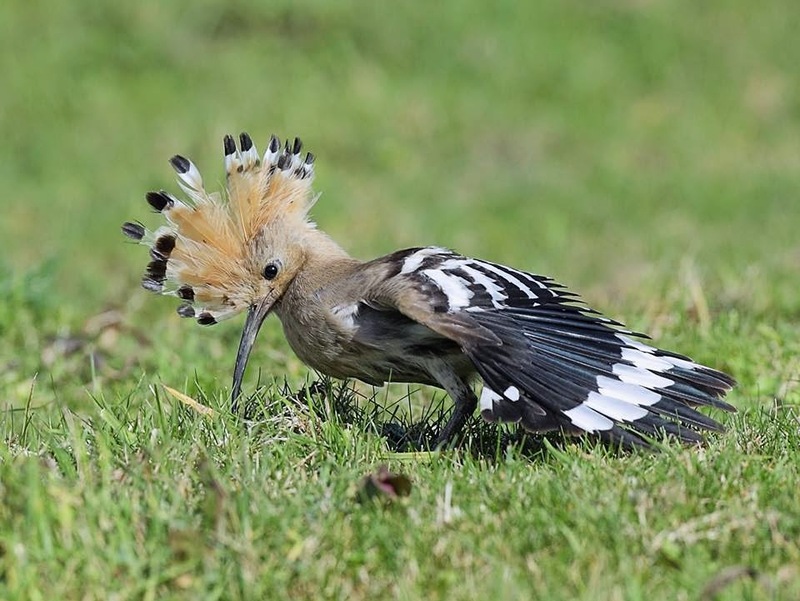 Over the following days lots of birders and photographers visiting this showy bird and some incredible images of it have been produced. 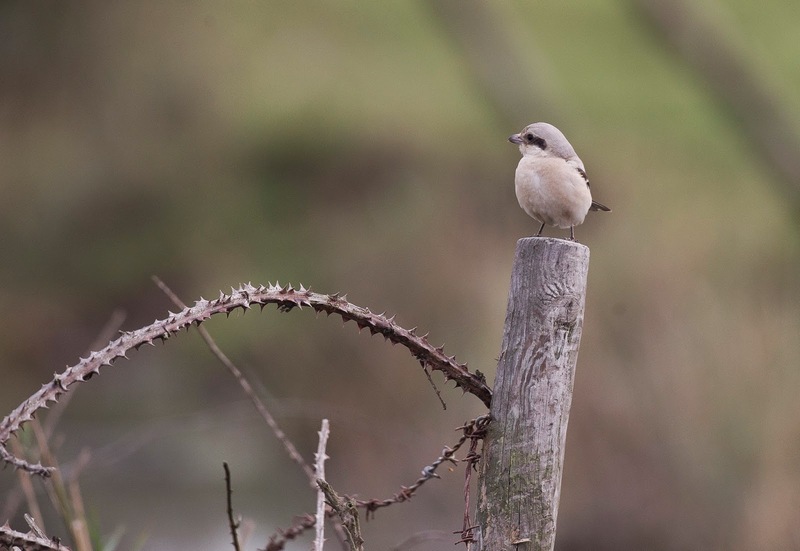 One of the best though was taken by my good friend Jon Philpot which is below, what a bird and what an image! After our superb year of chasing butterflies I have to admit it was quite difficult to get back into birding again but this bird certainly went a long way in getting the enthusiasm building up again. 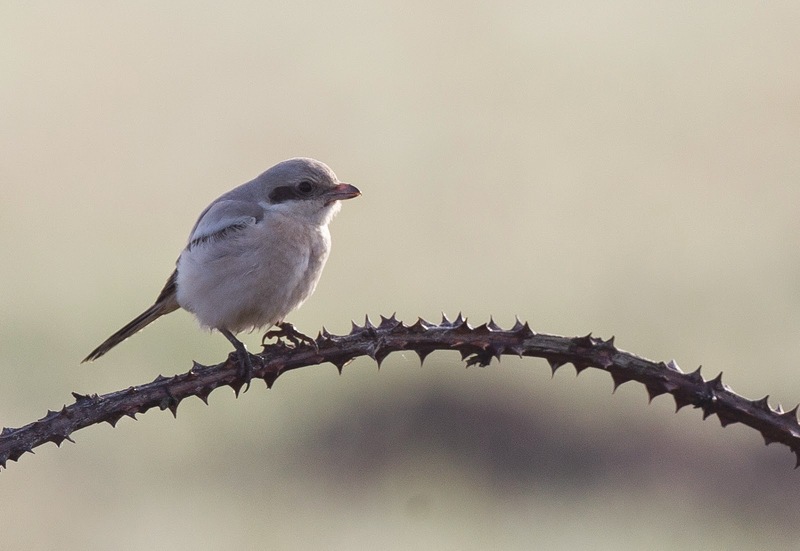 So with the news of a mega in the shape of a Steppe Grey Shrike currently wowing the crowds in Norfolk we couldn't resist a trip over. So on the Sunday the 12th October me, Jon and Kirsty headed to Norfolk to take a look for ourselves. As we approached we were slightly worried by the amount of morning fog that was still present long after sunrise and we were even more concerned when a report came through that the bird hadn't been seen so far that morning! That sinking feeling started to fall over us that this was going to be a dip but our mood was raised significantly when a report came through just ten minutes later to say it was showing well! 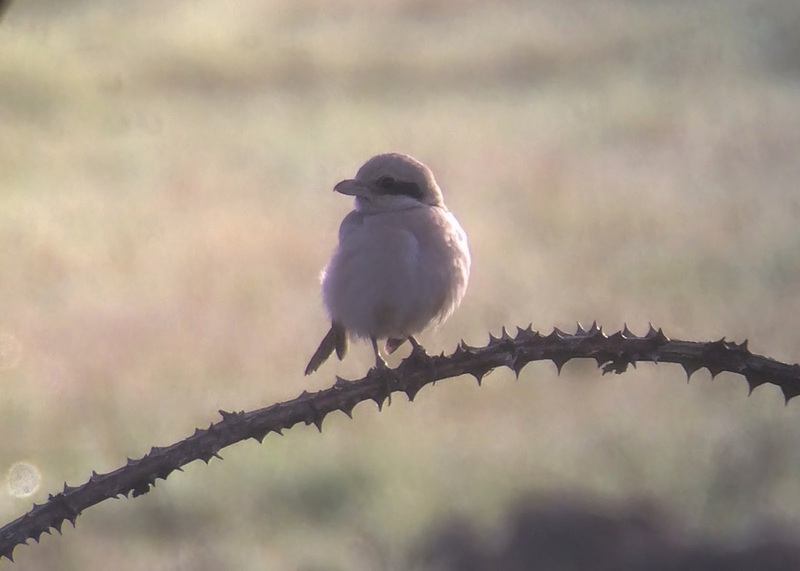 After sighs of relief all round we headed straight for the site and were rewarded with few of the Steppe Grey Shrike immediately after finding the crowds watching it. Unfortunately due to the light in the wrong place and the misty morning (I know I'm getting picky now) we decided to head off in search of the next target bird and return later when the sun was in a more favourable position. The other bird was one of the Yellow-browed Warblers that had been seen along the Norfolk coast in recent days and as the RSPB reserve at Titchwell was the closest we headed there to try and see one as it would be a lifer for Jon and Kirsty. After a quick snack in the excellent cafe we started to bird the area and it wasn't too long before we managed to find the area one was in. We scoured the branches of the Sycamore tree above us and a tiny flitting bird could be seen zipping from branch to branch. 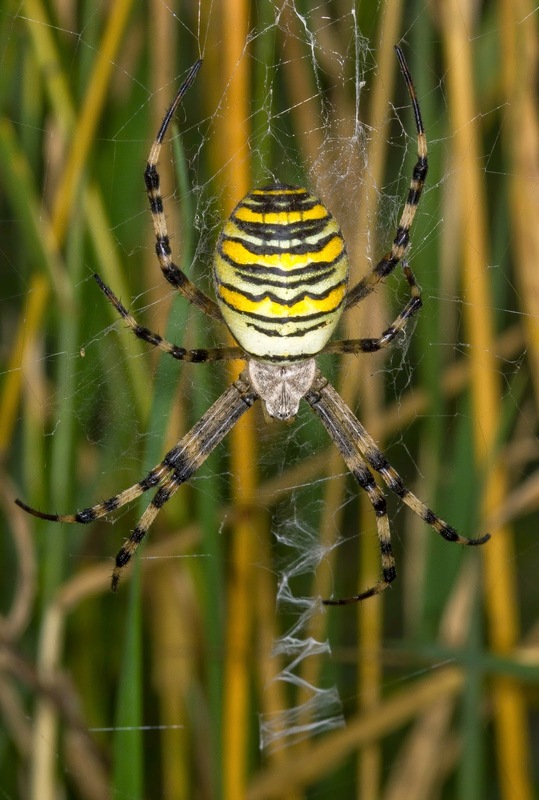 After some perseverance we got great views of the this little gem as it busily fed on the flies brought out by the sun but as it was in the thick canopy pics were impossible. 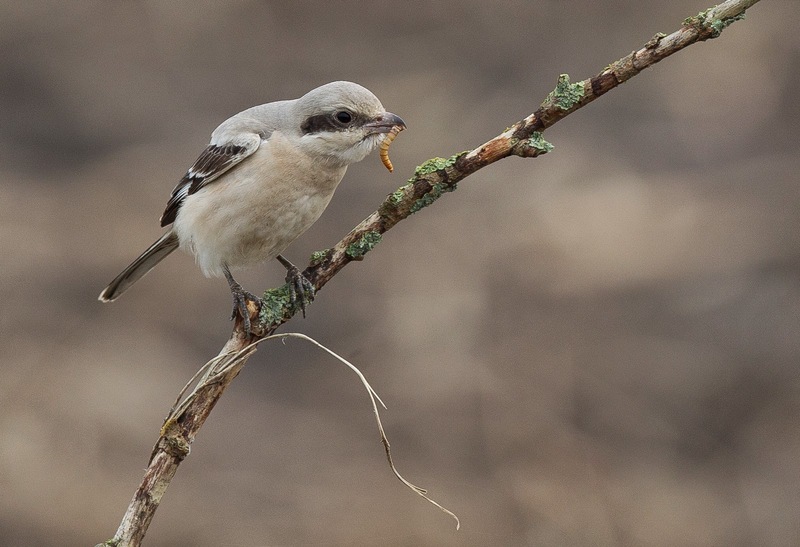 After enjoying the bird for a while we then decided to head back to the Steppe Grey Shrike. 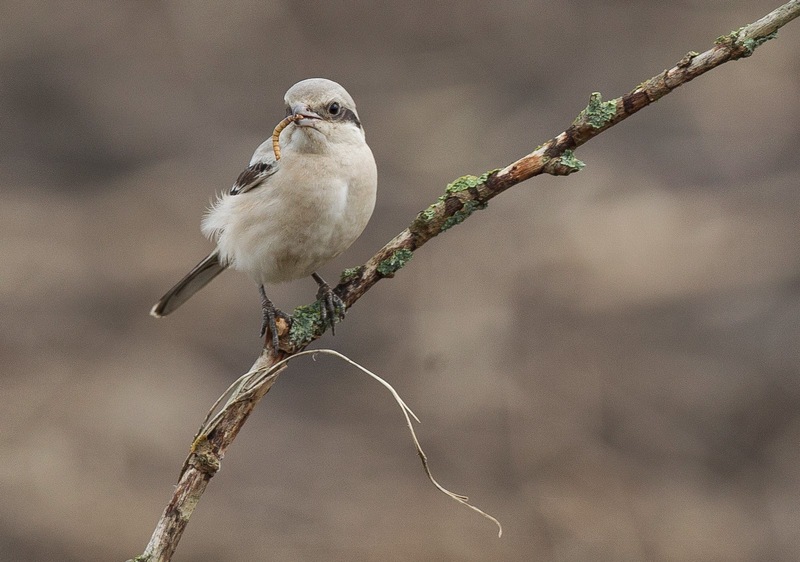 We were very glad we did as it showed incredibly well and with the help of a local birder placing a pot of mealworms on the ground it put on a real show. Jon very graciously allowed me to use his camera to get these pics below. The bird would often come down onto it's stick before heading back into the nearby bushes. 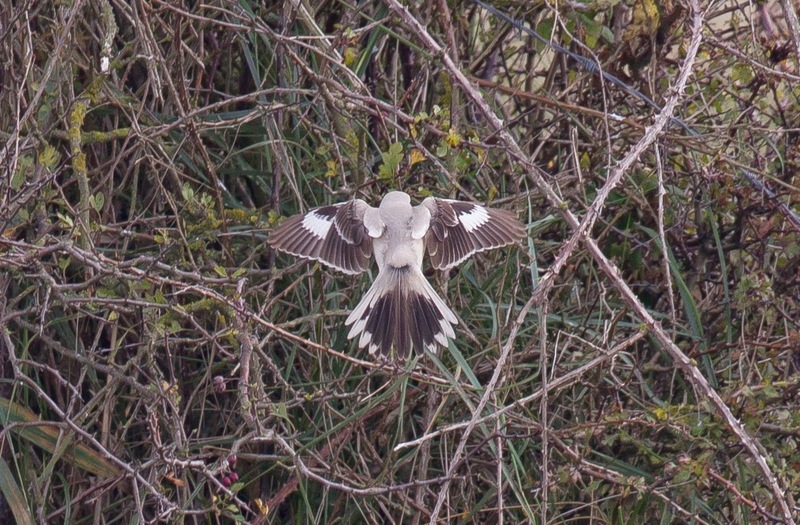 On one occasion when it did this I managed to get a pic of it's back showing the tail and wing pattern. It's heavily cropped but shows plumage of the bird you don't normally get to see. And last but not least here is a phonescopped video, you can hear the shutters going off from the nearby cameras. We decided to head to a couple of our other nearby favourite places after enjoying the bird so much, these being the Cider Shop in Wells-next-the-sea and the nearby Real Ale Shop just to the south to buy a couple of drinks for the journey home. 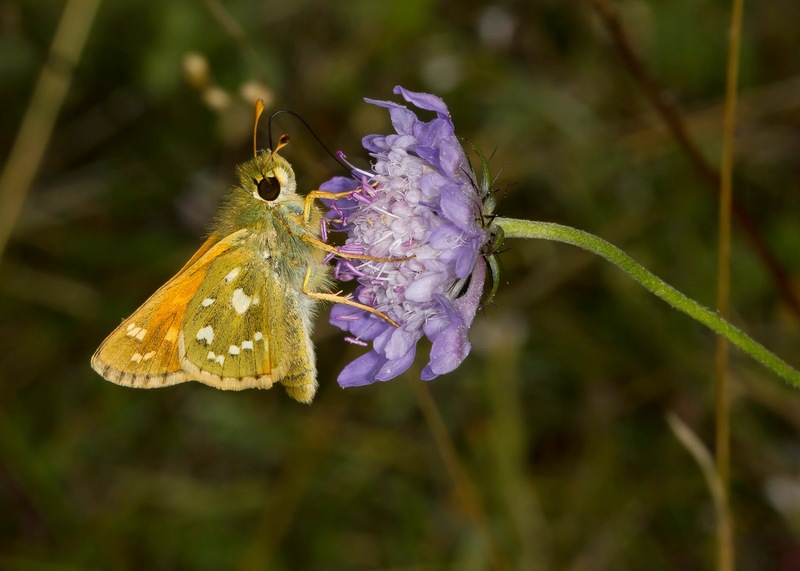 The weather was bright and sunny on the Saturday of the 26th of July and me, Jon and Kirsty and Sam Candy had already planned to go to Aston Rowant to see the site's specialities of Silver Spotted Skipper and Chalkhill Blue. 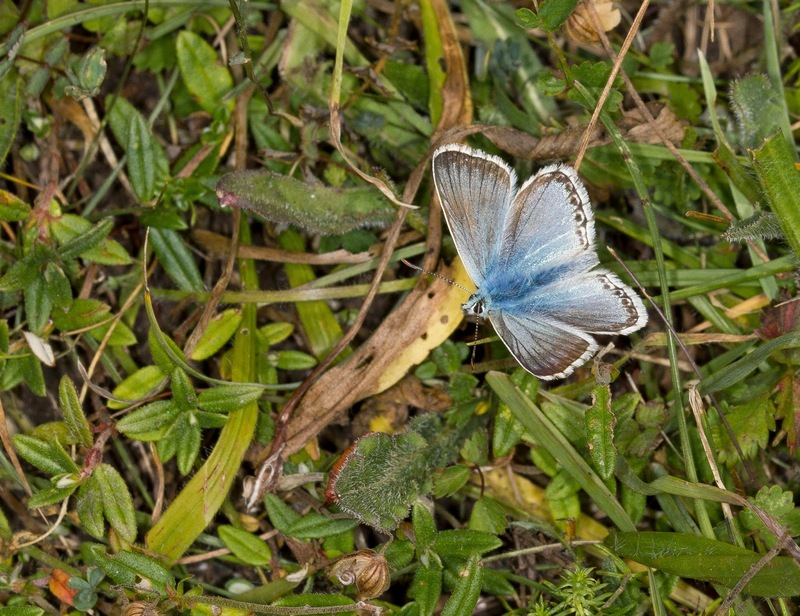 This site is simply amazing to see, in fact you don't just "see" Aston Rowant you "experience" it in mid summer as the whole place shimmers with butterflies everywhere and on the right day it truly is a sight to behold as Chalkhill Blues fly around your feet. 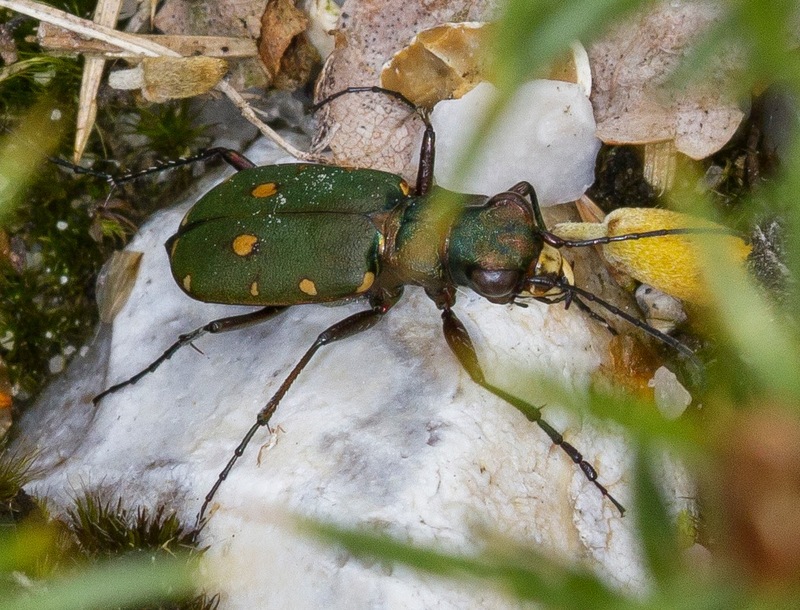 Today didn't disappoint with the wanted species all over the place but I have no idea what was causing it but something out there was causing my hayfever to explode which put a dampener on the morning for me at least as my nose streamed and eyes ran. I did manage a couple of record shots of Chalkhills and Silver Spotted but as I'd achieved better shots last year I didn't try to hard as my eyes were itching like mad. 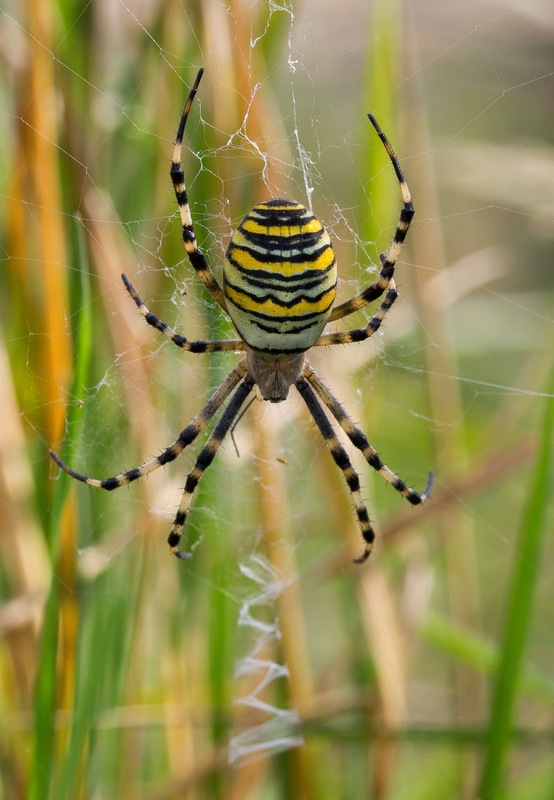 Despite the site being amazing it was somewhat of a relief to me when we left as my sudden attack of hayfever had become pretty bad so we headed to the next target species at the RSPB's reserve at Otmoor. 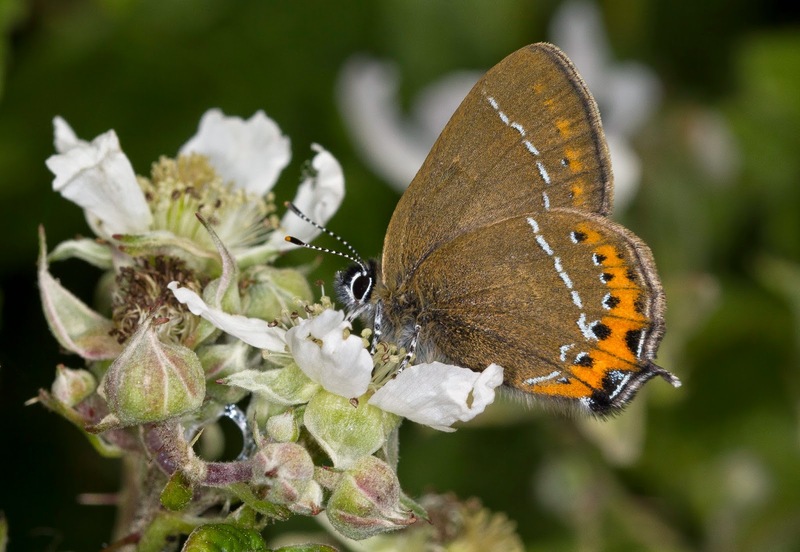 I'd only ever seen one Brown Hairstreak before and that was last year and down the Old Roman Road behind this reserve's car park. So we parked up and headed straight back to the place we'd seen them a year before . I've got to be honest although I was outwardly very confident we'd see one deep inside I didn't think we'd see one at all! Certainly not like we did last year as one came quite far down, the best I was hoping for was a glimpse in the tops of the trees if any. 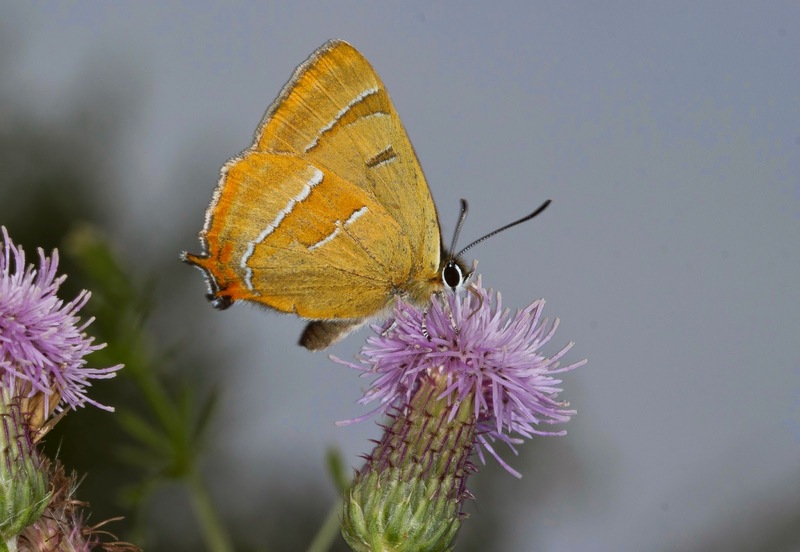 We headed to the particular tree and as me and Jon were discussing what area we saw the previous years butterfly in Sam (who I have to say has a peculiar luck when it comes to finding Brown Hairstreaks) calmly pointed to a thistle right infront of us and said "isn't that one?" We couldn't believe our eyes! 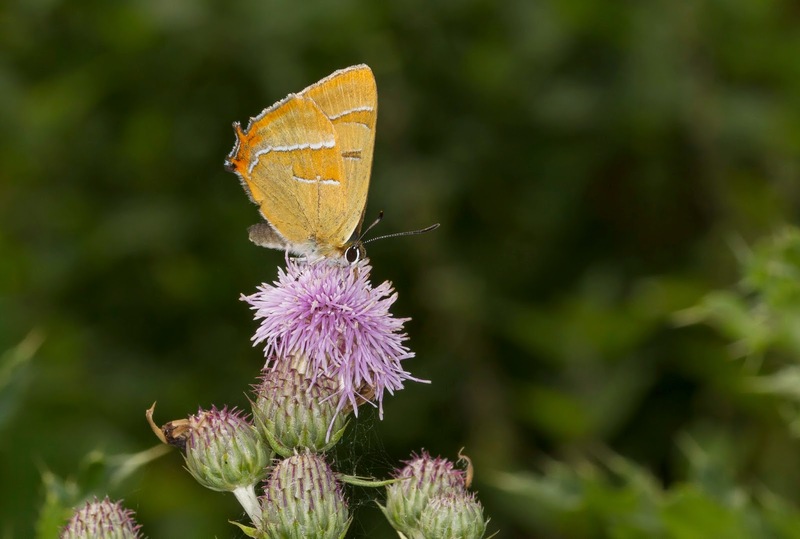 A Brown Hairstreak was slowly rotating the way Hairstreaks do on the top of a Thistle flower just at our waist height. It performed fantastically as it flew from flower to flower while slowly rubbing it's wings together and pirouetting around while we all took lots of shots. 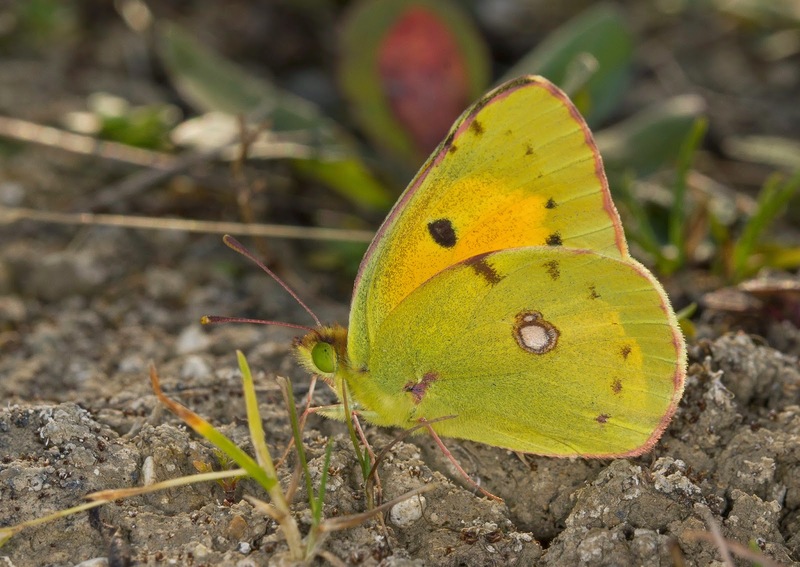 Unfortunately the base of one of the wings on one side was slightly damaged but other than that it was a nice looking butterfly. Here's a few of the pics below. After while this little cracker shot back up into the canopy of a nearby Ash but soon enough Kirsty managed to find another one further along the track and this one was just as stunning, in fact it was almost pristine! 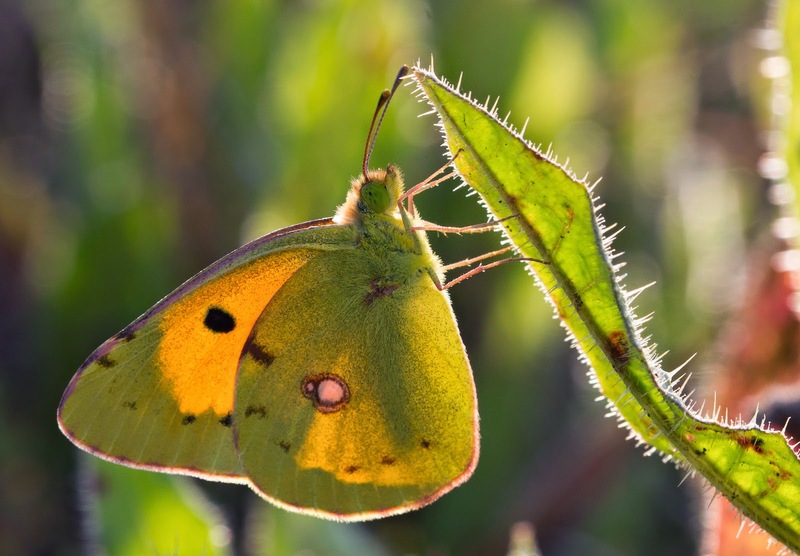 By now a few more people had arrived and we took it in turns to snap away at this superb butterfly and I also grabbed the opportunity to get a short video too. 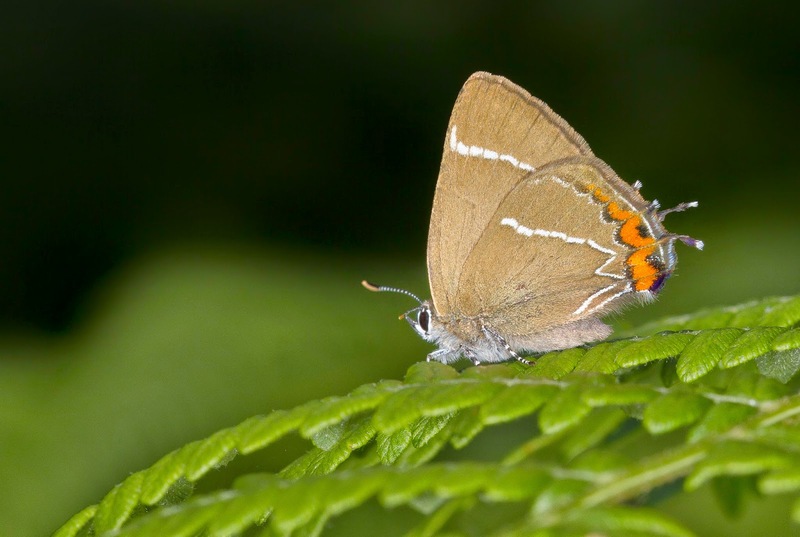 I carried on searching the Roman Road while the others explored the reserve but the best i could do was another Brown Hairstreak high up in a tree. 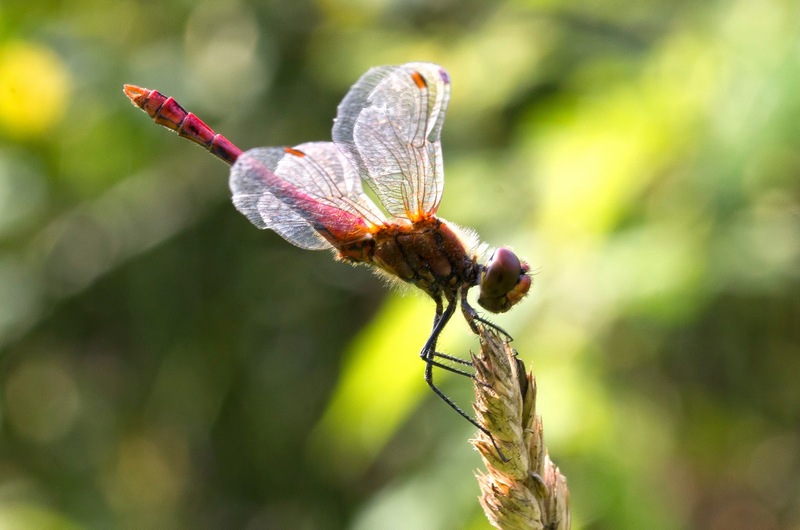 A Common Darter posed nicely on a perch for a moment so I grabbed a quick pic as the sun shone through it's wings. 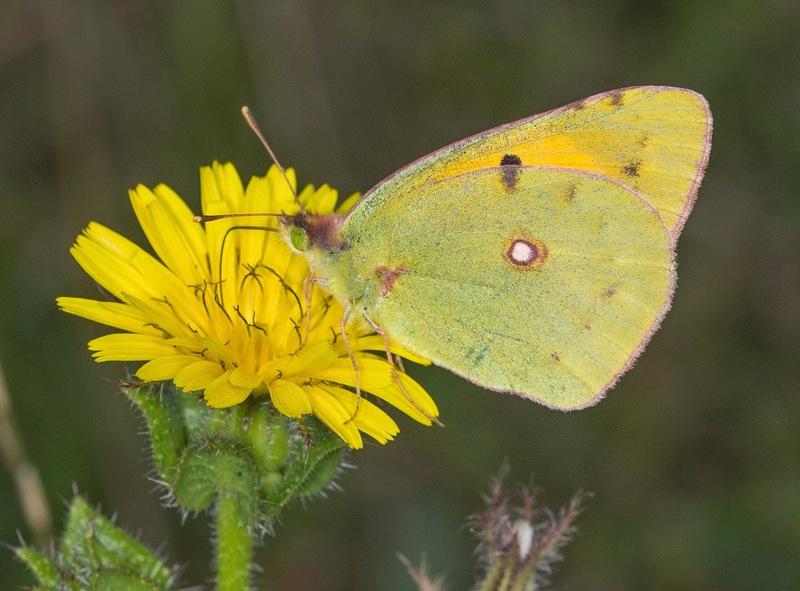 We then headed home via Grange Park and we were lucky enough to see a Clouded Yellow just before it was probably about to go to roost for the night, a nice end to a fantastic day! 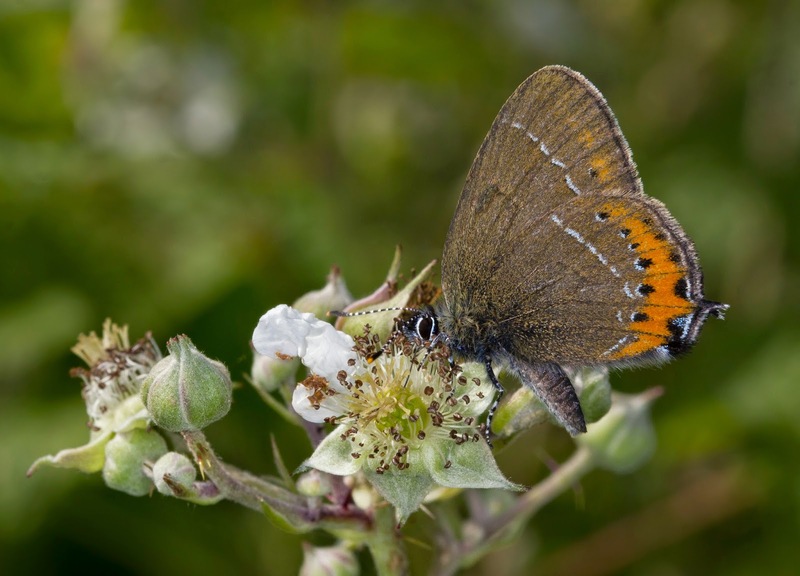 The following day we decided to head to a couple of sites in Cambridgeshire for Wall Brown butterflies. I have admit I didn't realise the were so easy to see in the county as we had intended to head to Norfolk to see them along with Grayling but as these were relatively close to home we gave it a go. After some helpful directions from a mate on a Facebook Group we found ourselves at King's Dyke reserve near Peterborough (please note it's permit only) and had a handful of Walls right underneath the Buddleia opposite the car park. 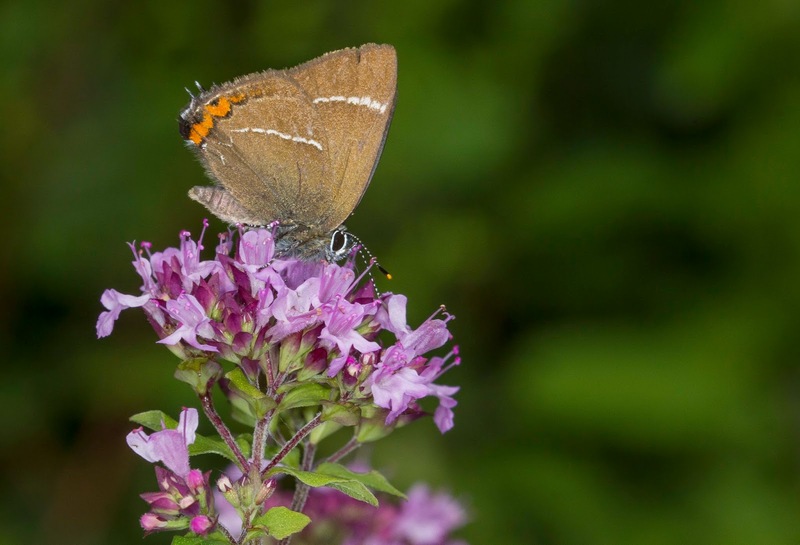 We were pretty ecstatic when we saw them as this was our 50th British butterfly species for 2014! Unfortunately due to the incredibly nice weather they wouldn't stay still for very long so getting pics was certainly a challenge. I managed to get this though all the same which I am very happy with, that underwing is pretty spectacular. After we left we headed to Ring's End reserve to see some more Walls before the heat got the better of us and we headed home to have a beer to celebrate the 50. 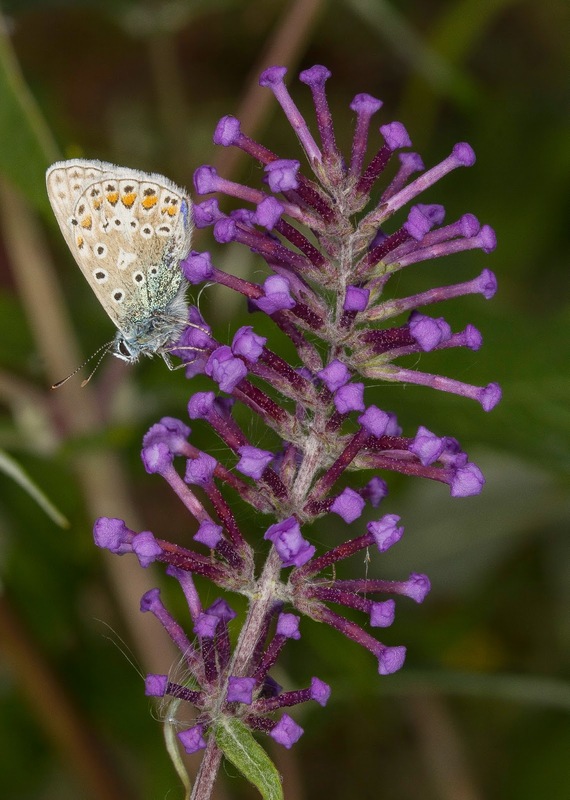 I haven't mentioned it before as I didn't want to jinx it but me, Jon and Kirsty had set ourselves the challenge to try and see 50 species of British butterfly this year in one season. It's harder than it sounds (especially when working full time) as it requires a lot of nice weather that coincides with days off from work and a considerable amount of luck helps too! 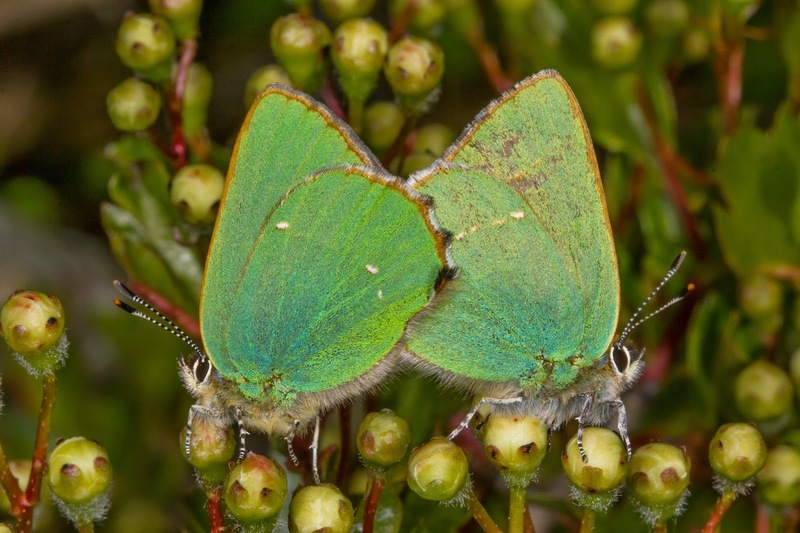 Luckily for us we've been very lucky this year considering this is the first time we've attempted this and needed to do quite a bit of prior research to not only find butterfly sites but also to find out where you need to be at the site as some of the butterflies can be tucked in a small corner! We've also met some great people who have helped immensley this year so many thanks to you all. 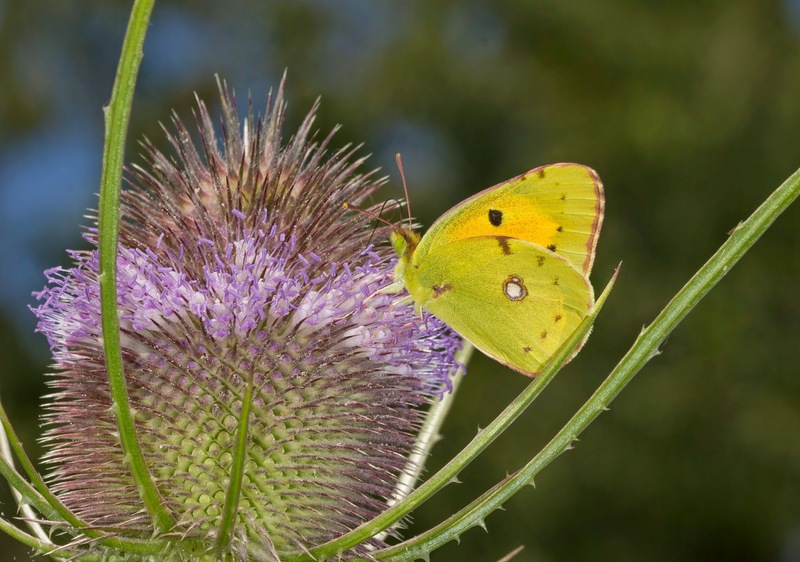 I've also found a great deal of information by carrying out lots of searches using the UK Butterflies forum and various Facebook groups - we'd have never have found the Pearl Bordered Fritillaries at Hailey Wood earlier in the year if it wasn't for people posting online! Hopefully 2014 will bring a couple more butterflies but for now it's a nice feeling to be able to head into the slow lane for a bit. 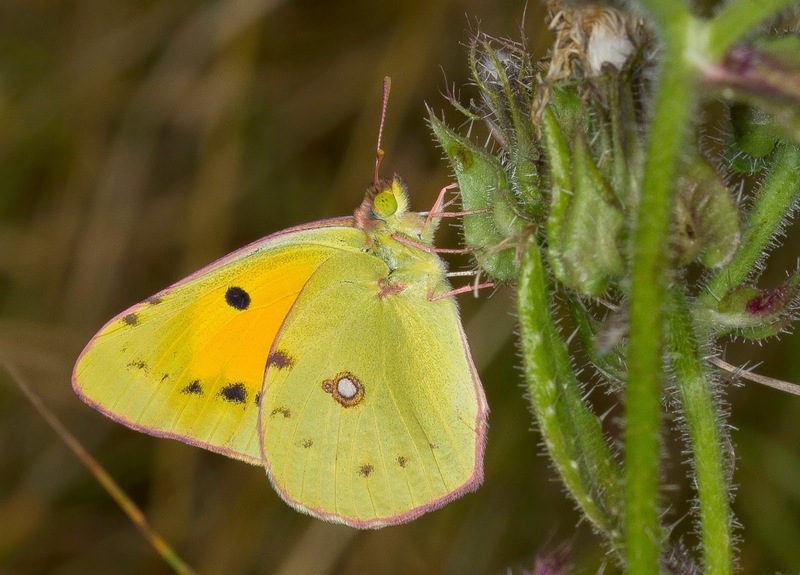 I have to say that chasing butterflies is certainly addictive and this year so far has been superb and very enjoyable with some trips to some amazing places. Biggest thanks of course go to Jon and Kirsty (especially as Kirsty drove on most of the trips!) as we saw them all as a small group and without all of our enthusiasm it wouldn't happen, and of course to Matt for helping us see the Scottish specialites. 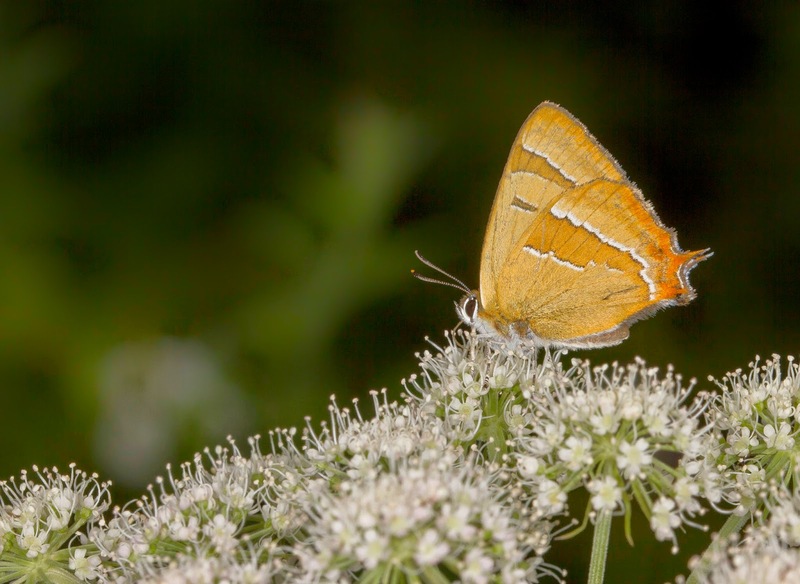 For me though the Hairstreaks have to be the stars if the year, we have been very lucky to get such good photos of some very elusive insects! The last few days have seen some interesting weather systems as the sunny and hot conditions gave way to some very impressive thunderstorms and some incredible lightning displays. 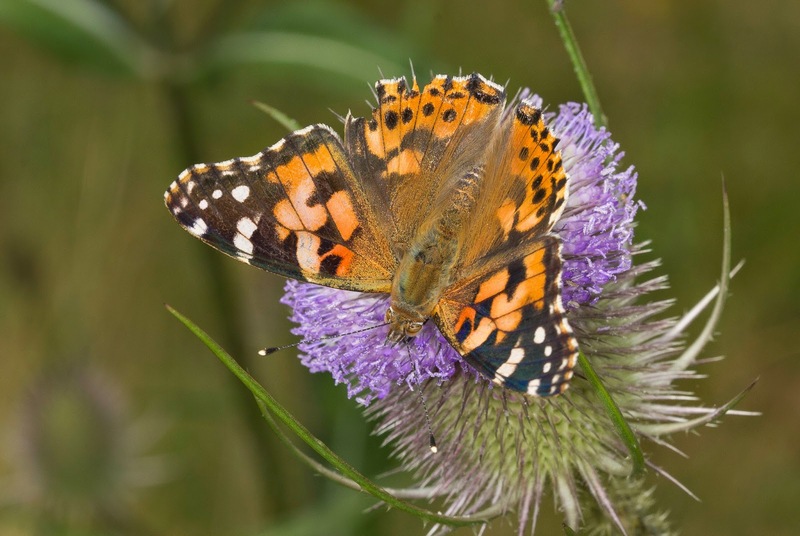 These fronts coupled with the recent photos and sightings I had seen online turned my mind to a special migrant butterfly called the Painted Lady. 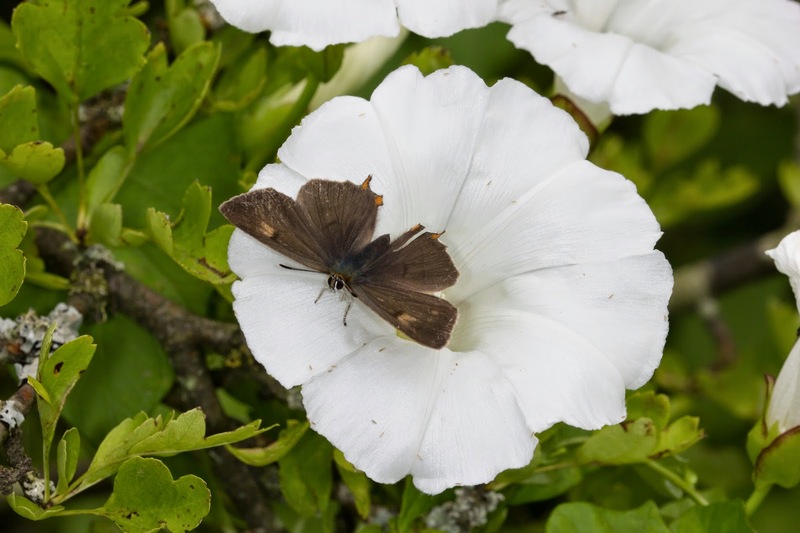 The numbers that visit Britain fluctuate every year and sometimes there's lots and other times they can be quite scarce. In fact I only saw one last year and that was in Norfolk so we were wondering how easy they'd be to see this year. They originate from north Africa and they gradually migrate north with some reaching our shores and heading inland during the summer months so with this in mind I headed the my local patch at Grange Park in Northampton on the 20th July. Gatekeepers, Small and Essex Skippers seemed to be everywhere and just about every teasle head had a stunningly fresh Peacock busy feeding away. 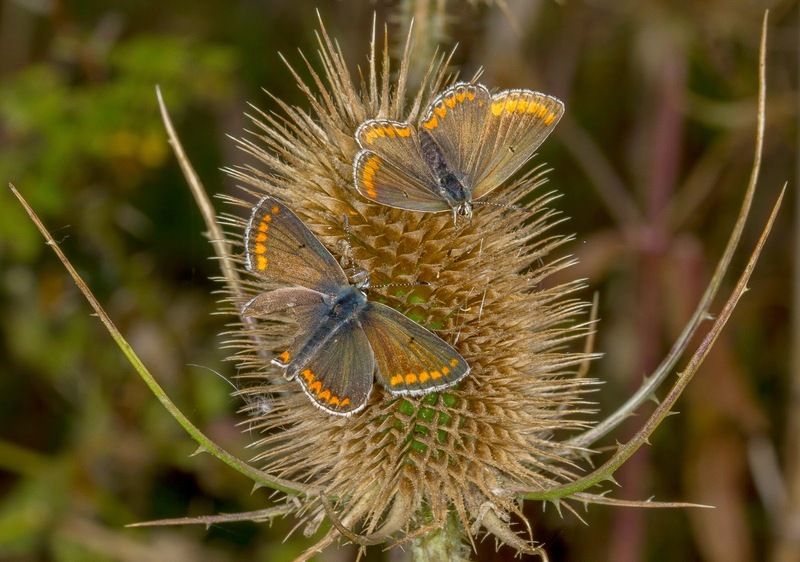 I went through these systematically hoping to see the orange flash of a Painted Lady but no luck at the base of the bank so I moved along slowly and headed up and hadn't got far before noticing a large butterfly take of and fly to the other side of a small clump of teasles. I was sure it was paler and noticeably more spotted than the Peacocks so I walked round to be greeted by the sight of a Painted Lady busy nectaring away. Migrants can always be held with a degree of uncertainty at the start of a year so a sigh of relief is exhaled when you see one. I rang up Jon and Kirsty to tell them the news and in record timing they arrived on site to enjoy it too. 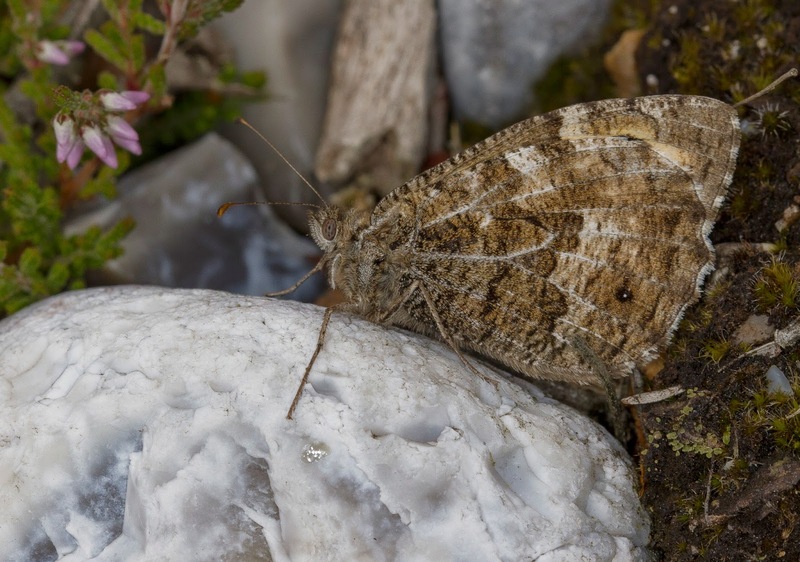 Here's a couple of pics which with the exception of a small degree of tattiness along the hindwing it was a nice looking specimen. I also had the following day off work but the all day sunny spells never materialised in the morning. I did have a half hearted look at Brackmills Wood but a couple of lads on a motorbike and the ever greyer cloudy weather meant that not much was seen. I decided therefore to head back to Grange Park to see if anything else had turned up. 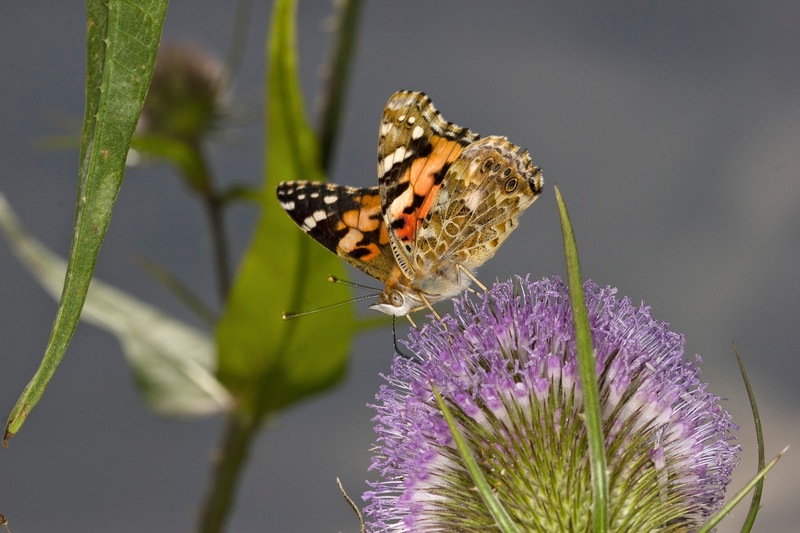 I was surprised to see the Painted Lady was not only still there but it was busily feeding away on the same bunch of teasles, in fact it hadn't moved from it's location the previous day! I had a walk along the base of the bank and it was all pretty much the same as the day before until I reached a secluded area that's blanketed with a carpet of Trefoil. 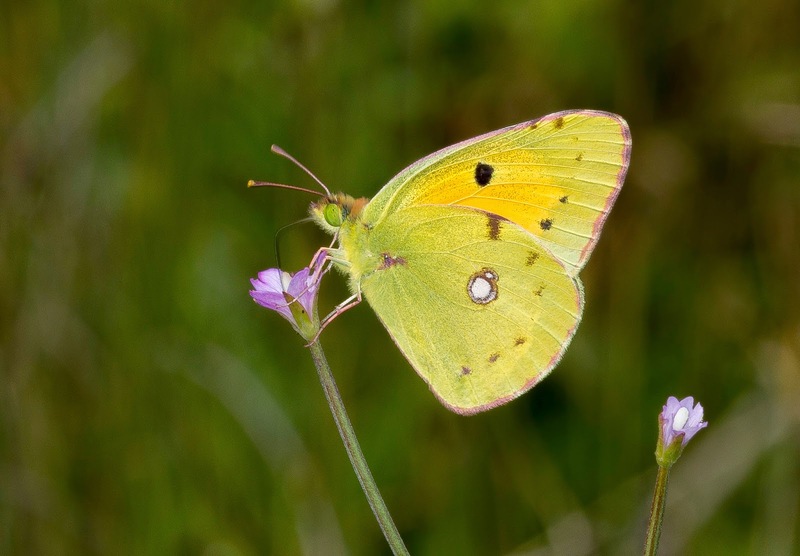 Almost as soon as I went passed a little yellow butterfly shot up and whirled up and down the bank! 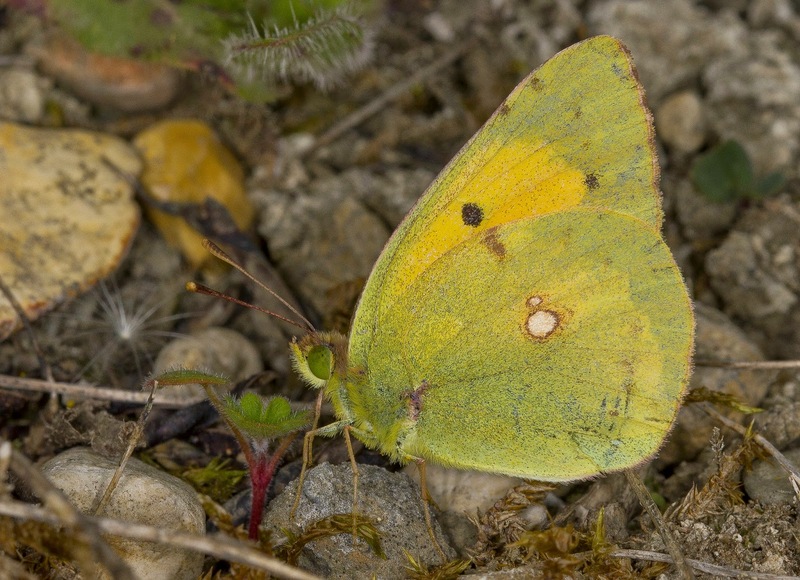 "I don't believe it" I said to myself as I watched a male Clouded Yellow do what Clouded Yellows do and tore across the wasteland with very impressive stamina! I'm 6 foot 4 inches tall with a large stride and although I'm not a marathon runner I consider myself to be pretty fit and within an hour it had well and truly wore me out! 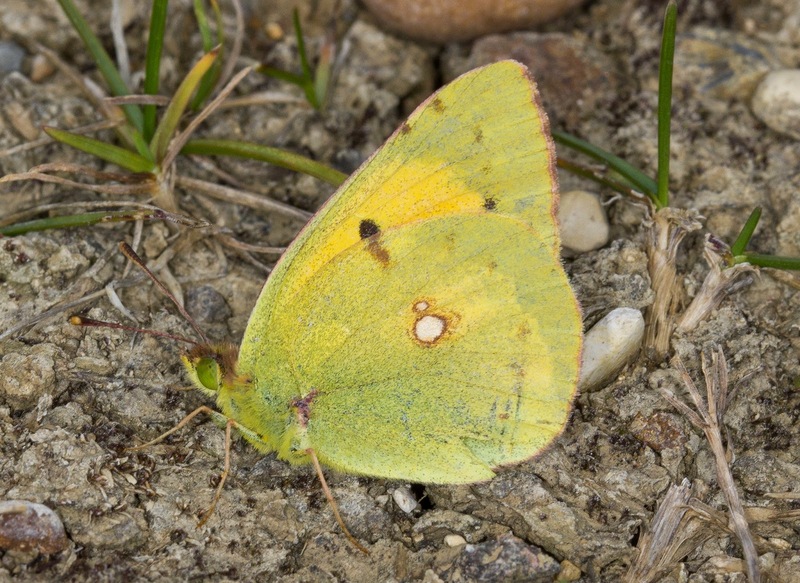 The first Clouded Yellow of the year (found by Ian Pretty while I was showing him the Bee Orchids here on the 8th of June) shot off so fast I couldn't get pics so I wasn't letting this one go lightly. For those who have seen the epic western The Good, The Bad and The Ugly if you can picture the last scene at the end of the film before the gun fight when Tuco is running through the graveyard then was that pretty much sums up what I was doing, and my legs are still aching a day later! Despite the fierce sun (the previous clouds had dispersed) it did stop every now and then to nectar on a flower allowing me a couple of shots before shooting off again with me running along in tow - only the Benny Hill music was missing (or Ecstasy of Gold if you're still thinking about the film). My favourite shots during the chase are below. I'd made a few phone calls while all this was going on and Jon and Kirsty managed to get to the site in the afternoon to see it while a few more decided to head down in the evening. I couldn't resist heading back too as they're normally more photogenic as they settle down to roost. 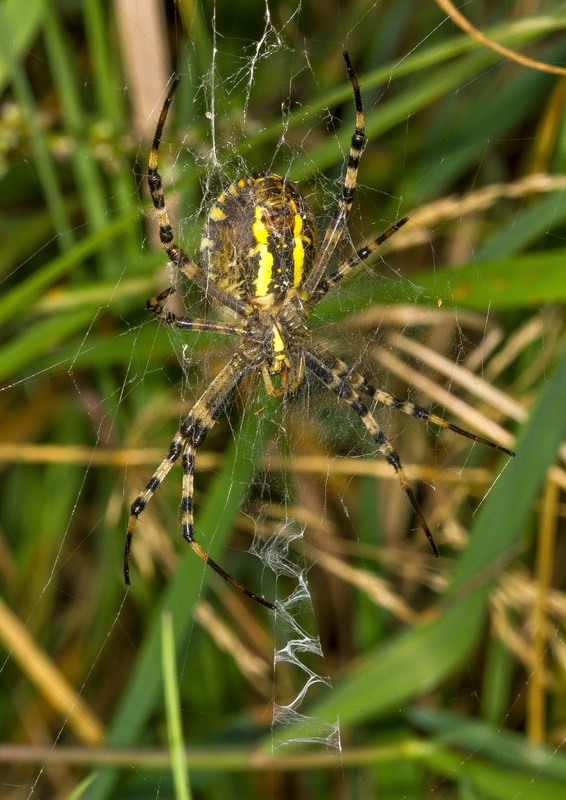 It took a bit of finding upon the return and unfortunately Ian Pretty had to leave before it did so but as Jon, Kirsty and Doug Goddard appeared I saw the little mustard coloured speck appear through the undergrowth and the chase started again. 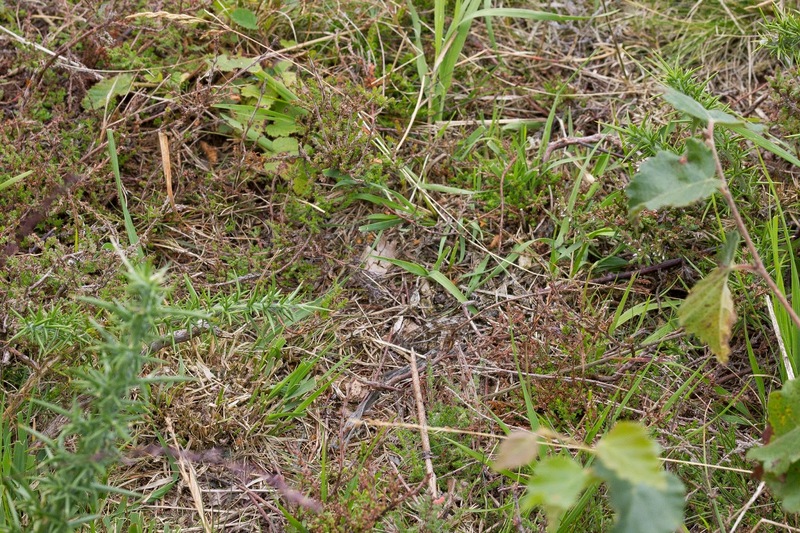 We did have quite a laugh as we raced round trying to get pics and then eventually it slowed down as it started to find a roosting site finally allowing prolonged and close up photography. 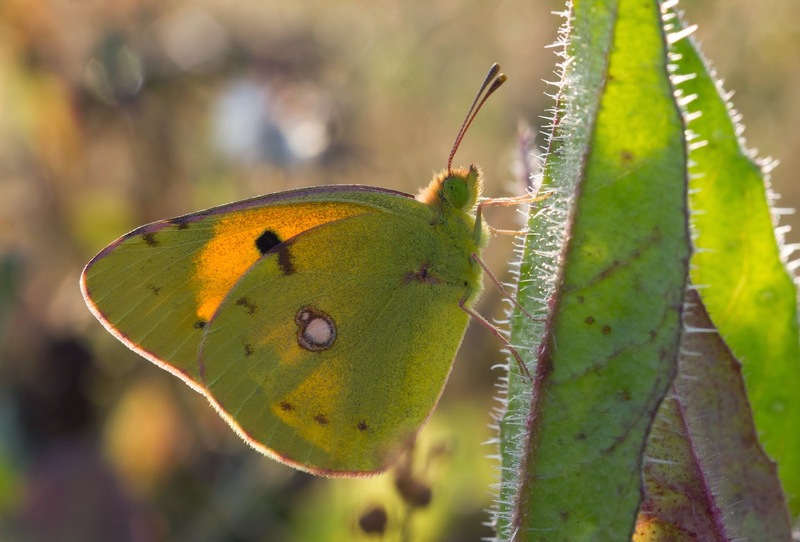 We got some good shots as it rested on the floor and posed under leaves with the now low sun shining through the wings. Stuart Mundy also arrived at the right time as we were watching it roost and he got some good shots too. It's amazing how much happiness one little butterfly can bring to many and I'm not sure if it's the thrill of the chase, getting good pics or just seeing one on the first place? To be honest it's probably a combination of all three! 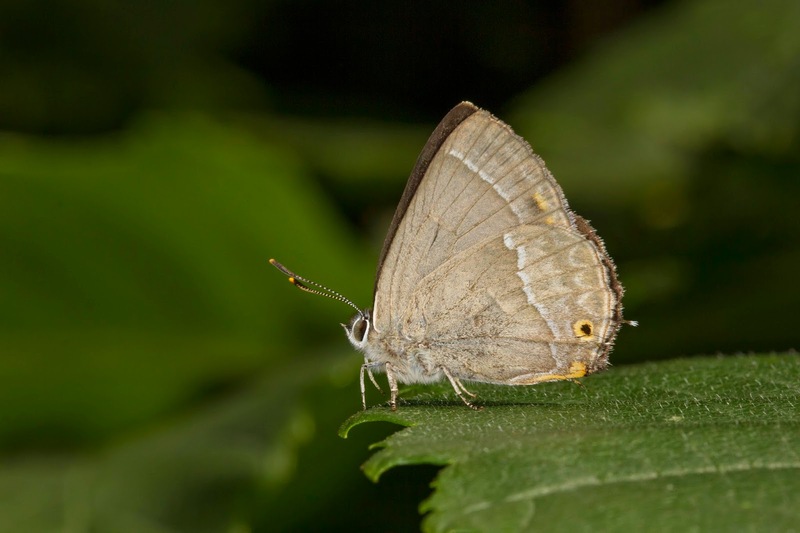 This evening I was lucky enough to get a photo of a Purple Hairstreak which for me is very special little insect. 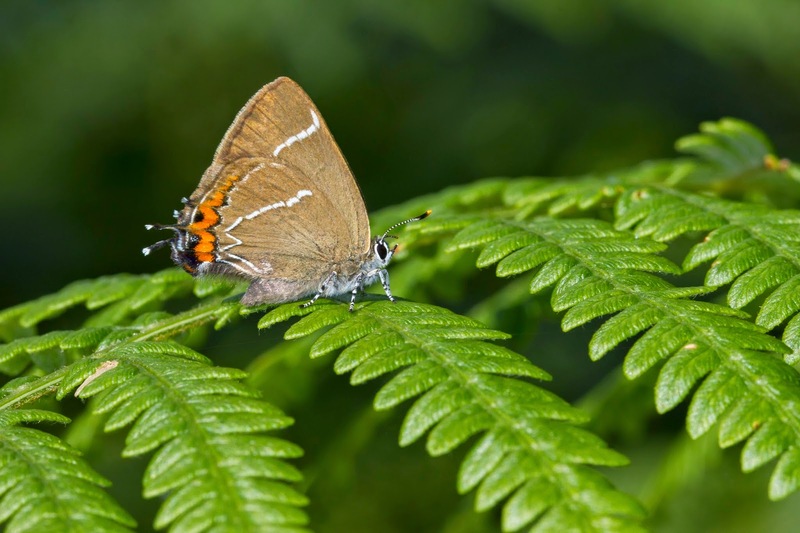 I love the whole family of British Hairstreaks as they (with the exception of the Green Hairstreak) have secretive lives and can seldom come down to the aspiring butterfly photographer. I have long since lost count of the many hours I have put into trying to get pics when the best views I could achieve is of their tiny silhouettes as they fly around their canopy of choice. 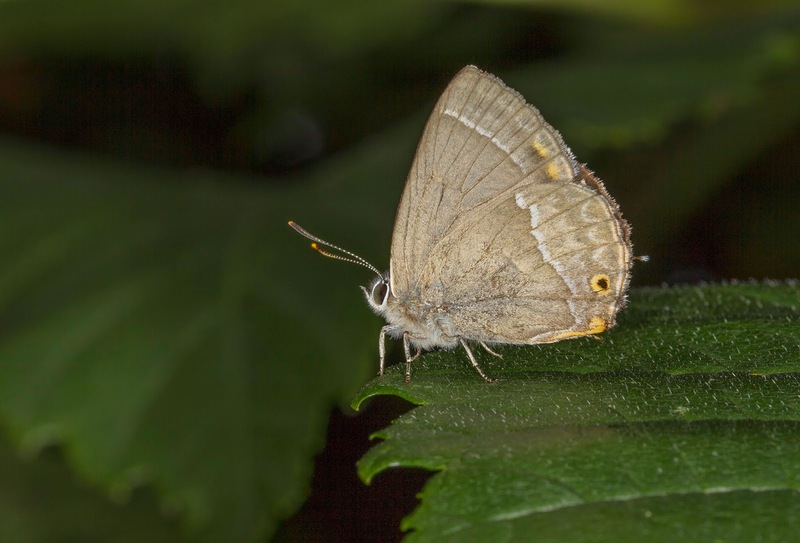 Despite this a mixture of persistence, good luck and a few tip offs have meant that I have managed to get decent pics of the five British Hairstreaks with the final one tonight - this being the Purple Hairstreak. 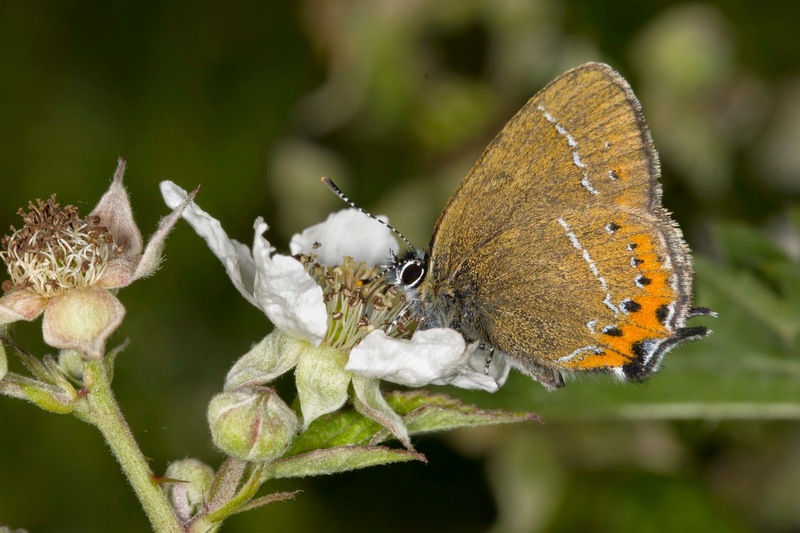 I find it slightly bizarre really that it took me this long to get a decent shot of one of the commonest Hairstreaks, and one which I regularly see flying around the large Oaks when I am out but until tonight I have never seen one down at eye level. 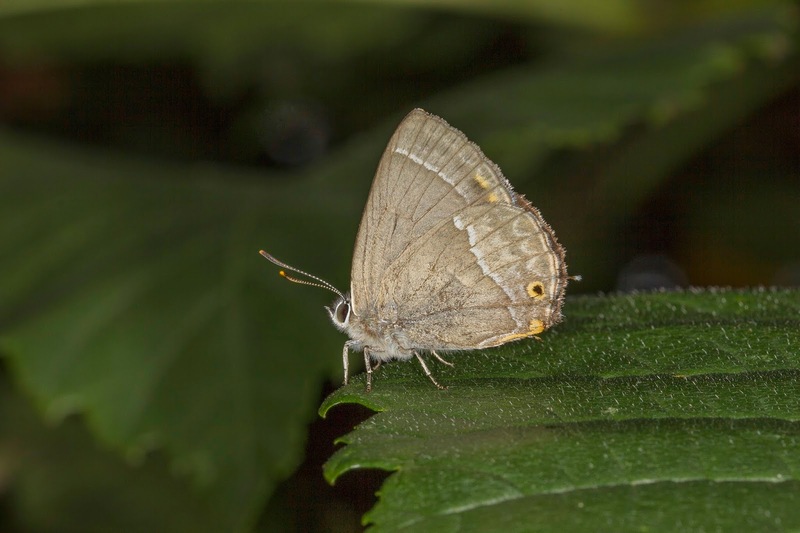 This evening's Purple Hairstreak pics are included below and as it finishes my set of pics of the family I have decided to include all my best Hairstreak pics on one post, so apologies for regular readers as most of these pics you will have seen before. 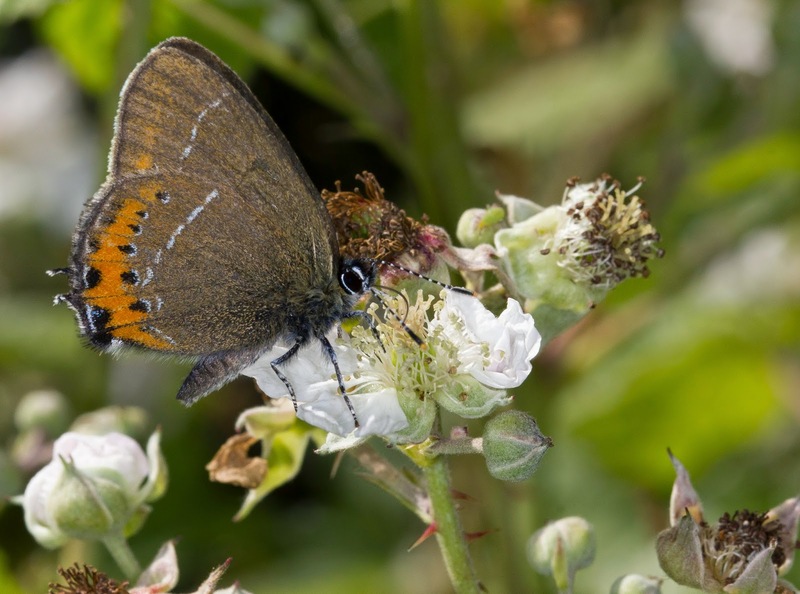 The Black Hairstreak is one of the rarest of our butterflies and is only found in a handful of sites in Britain. Luckily for us here in Northants one of the best places to see them is Glapthorn Cow Pastures near Oundle. 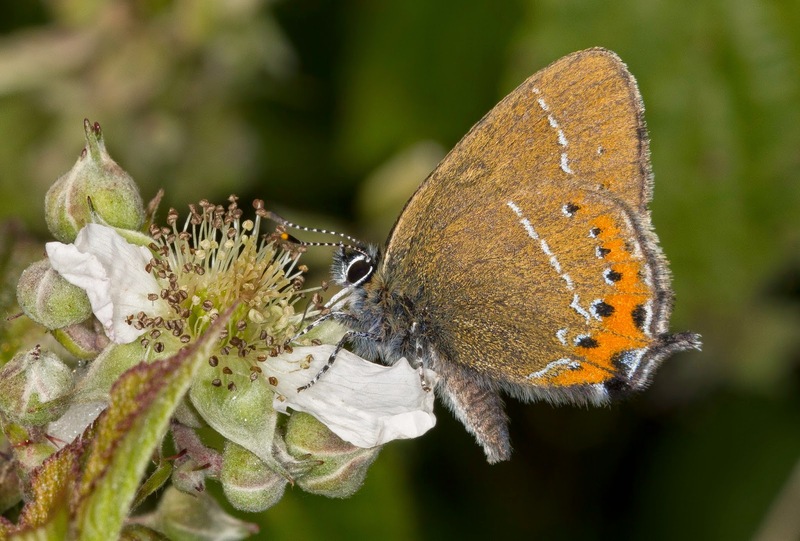 They are stunners and always draw in quite a crowd when they emerge which can sometimes mean they are a challenge to photograph as a crowd of people can rush to see one if an individual tumbles down from the Blackthorn, particularly in years of bad weather when low down specimens can be few and far between! Lucky 2014 had superb weather during the period they were on the wing and I was lucky enough to have them almost to myself this year during my brief but productive visit after work. 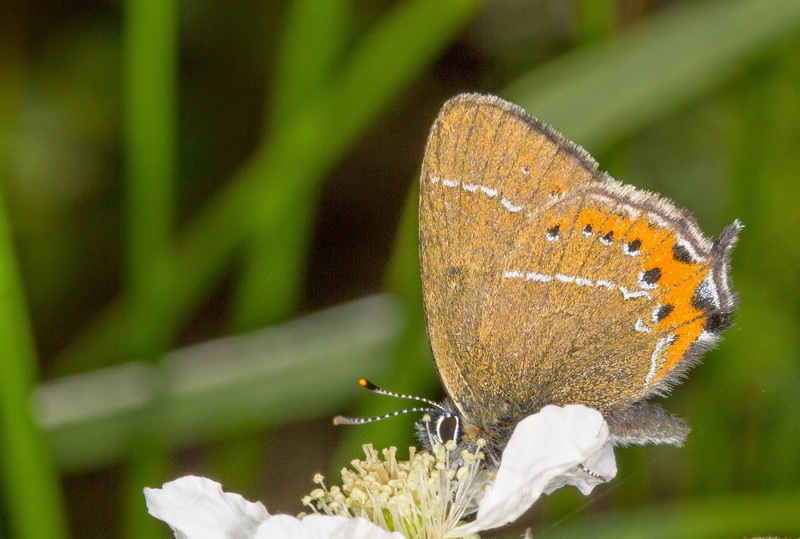 The main identifying feature is the row of black spots running along the out edge of the hindwing (compare to the White Letter Hairstreak at the end of this post for comparison). 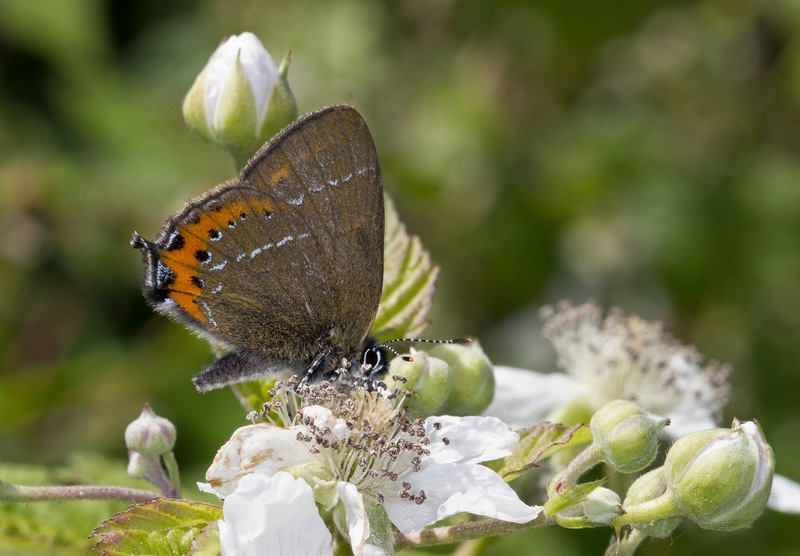 Last year (4th August 2013) I visited RSPB Otmoor with a group of friends and we decided to look along the "old Roman road" just in case a Brown Hairstreak had emerged. 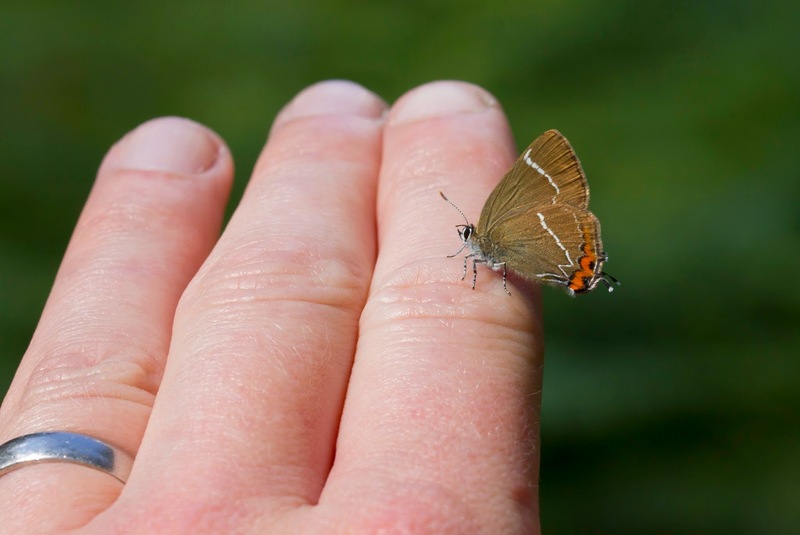 We walked up and down a couple of time before a tiny brown butterfly was seen by Sam Candy flying over the group. 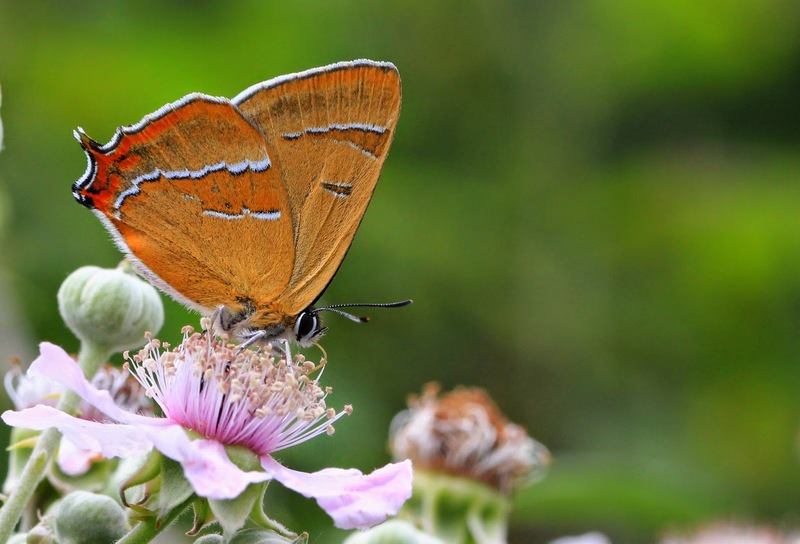 I watched it land at the top of a Bramble bush and was astonished to see a pristine Brown Hairstreak on top of a leaf. We hurriedly took pics and then it took off and we all held our breathe. We expected it to head back up into the canopy of the nearby Ash trees but in fact it did the opposite! It flew around for a short while before coming down and settling on a flower right infront of us. The below shot says more than I can put into words. An absolute cracker and I was incredibly lucky to be able to get it! 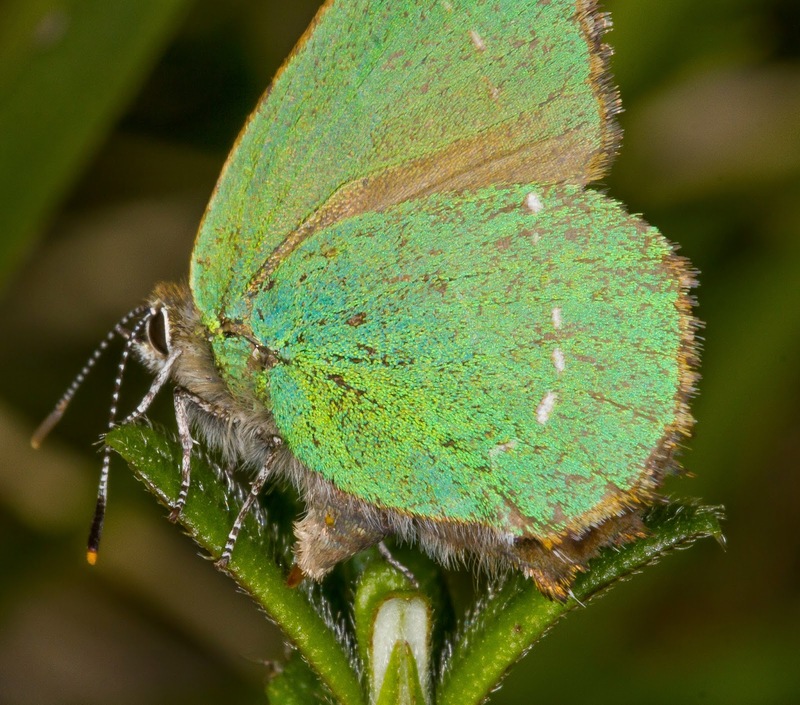 Green Hairstreaks hold a special place in my heart as they're one of the first butterflies I actually went out to try and find after seeing reports of them at Twywell Hills and Dales many years ago in 2005. 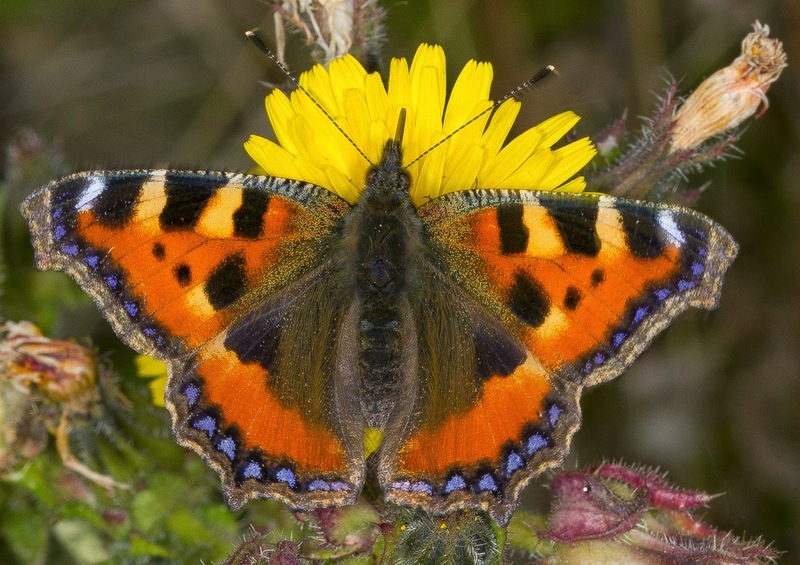 Being rather wet behind the years at the time I had to find them for myself as I didn't know anyone at the time who was into butterflies. I'll never forget that first green flash as one flew infront of a bush and with my limited camera gear I got a passable shot. A lot has changed since then and my experience (and camera gear) has improved considerably! 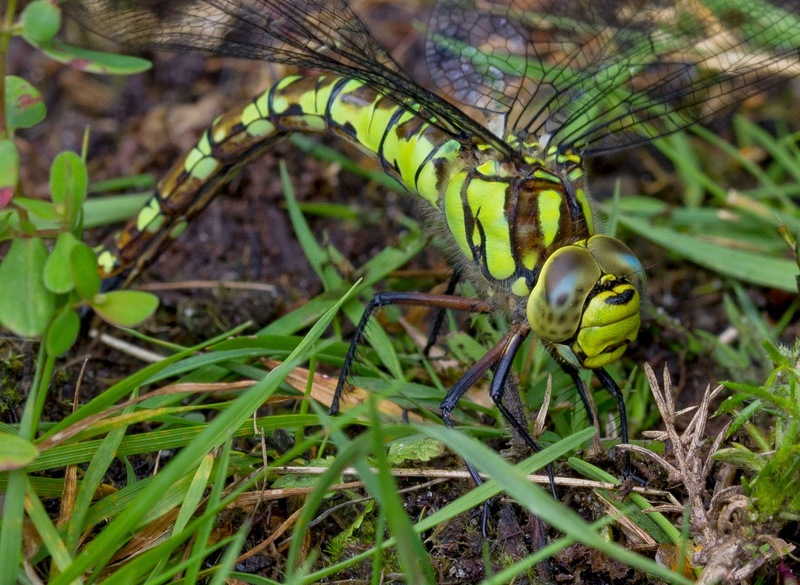 The below pics were taken early this year on Gloucestershire were I was lucky enough to not only capture mating of the species but also egg laying. 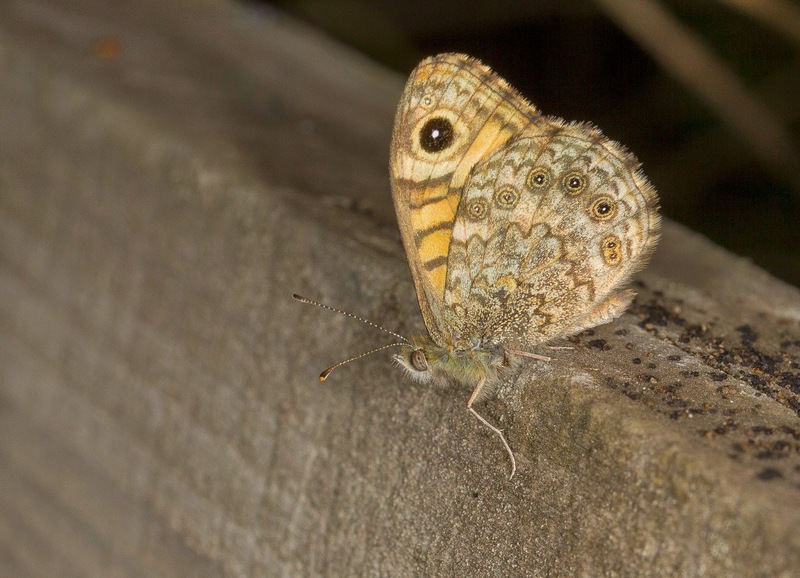 You may notice the dotted white line on the egg laying individual goes up the outer edge of the forewing aswell as the hind - this makes it the aberration punctata which semed to be very common in the area. The below pics are the ones I managed to get tonight (17th July 2014) at Thorpe Malsor near Kettering in Northants. I have a friend of mine called Stuart Mundy to thank for me getting these after he gave me the tip off a few days ago about the site. 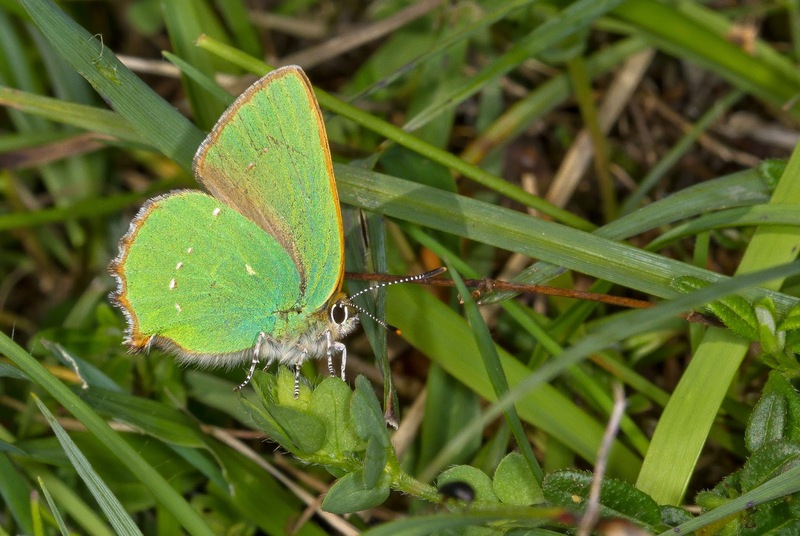 The normal view of these is of little lilac flashes as they whirl around the tops of Oak trees so to have one so low for a prolonged period of time was a real treat! To add to the occasion it was also a nice looking specimen too. 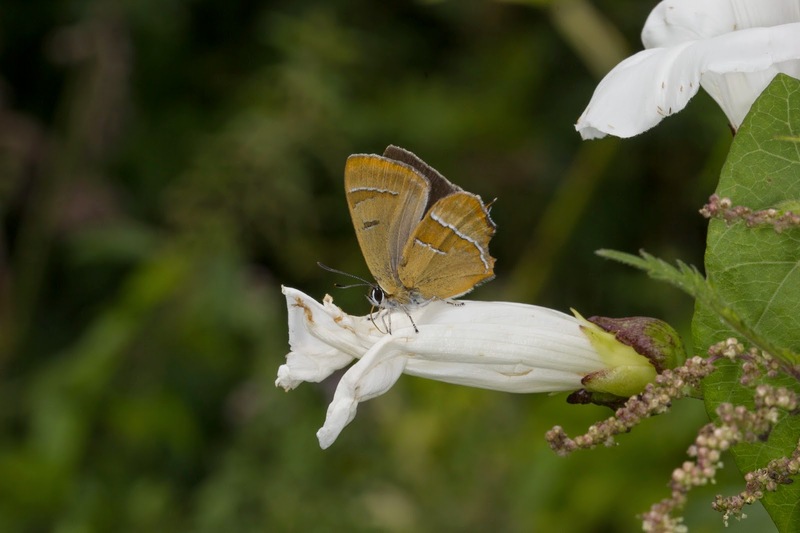 The story behind these pics of the final British Hairstreak was covered in the previous post so I'll keep it short to avoid repetition. These were taken over two seperate occasions a few days apart at Bedford Purlieus in Cambridgeshire. Once again I was very lucky in the first instance as the butterfly was literally flawless with hardly a mark on it. 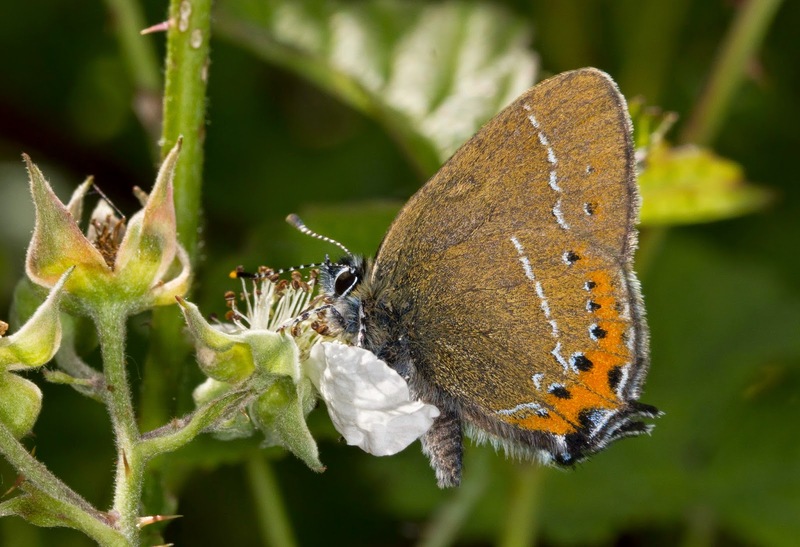 Notice also the comparison between this and the Black Hairstreak above with the lack of black spots along the outer edge of the hindwing.